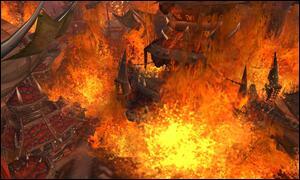 Patch 4.3: Deathwing Brings Raid to You! 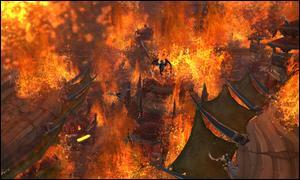 On the PTR, Deathwing lets you know he is ready to fight in Dragon Soul by visiting Orgrimmar and Stormwind and trying to burn them down! 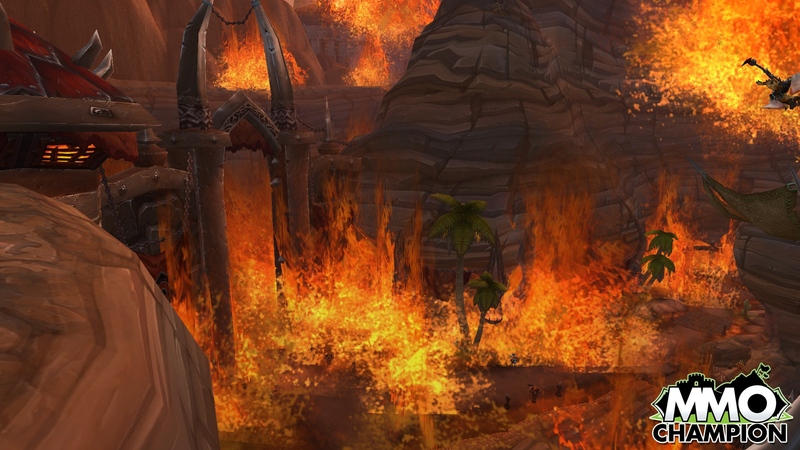 Keep in mind that this event took place early in testing and could turn out to be a PTR only event. The way we see it, Intellect increases the power of your heals. Spirit (and other regeneration mechanics) replenishes your mana. Having Intellect also increase the size of your mana pool complicates things. It's harder to balance, and feels worse for players trying to balance their character. 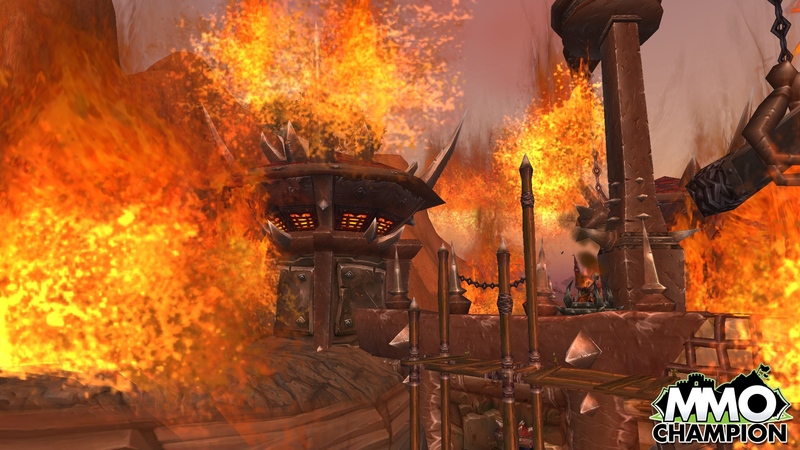 While we think the healer mana model for Cataclysm is sound and ultimately accomplished what we wanted, it was still a little too difficult for a on fresh level 85 just going into dungeons, and a little too easy for raiders. Part of that comes from what improved stats do for healers: they get bigger heals (from Intellect), the ability to cast more heals (larger mana pool), and the ability to cast those heals for a longer period of time without running out of mana (as a result of regen). Along the way, the tank and the group are take more damage from tougher bosses, but also have higher damage and higher survivability from improvements to their own gear. 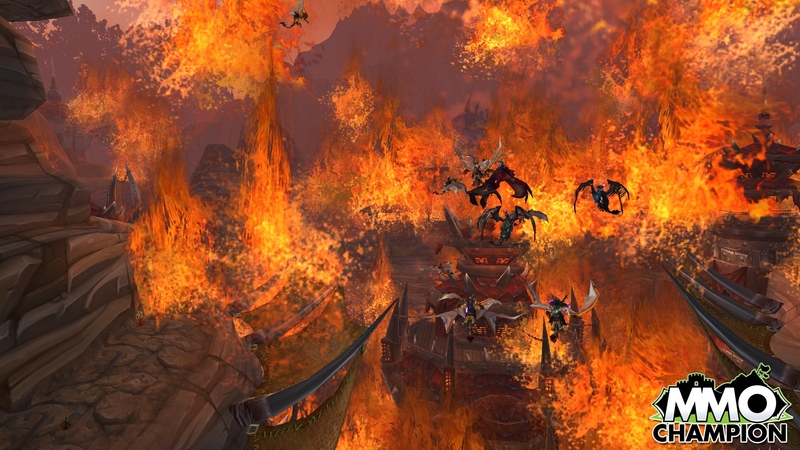 So, would it use our pets we have on hand or would it be more like the group of npc's we get when you do the Firelands daily at Sethria's Roost? Just some random animals. Would it use any of our pet's special abilities? We're talking about something that is completely hypothetical, so anything is possible. I personally would want the ability to call the five pets that I actually have on hand at the time, since that would give me control over what everyone sees when I send out the stampede. The intent is that it is not damage neutral. Yes, managing Inquisition should mean higher DPS, if you are exceptional at managing it. However, a lot of players find that they can’t operate their class at full effectiveness when they are actually in an encounter with all of the running around, target switching and other encounter mechanics that aren’t present when blasting away at a target dummy. One of the biggest differences we see between good guilds and best-in-the-world guilds is that the latter can maintain maximum DPS in almost any situation. The hope by implementing a glyph like this (and we aren’t sure we will, which is why we want feedback) is that your empirical DPS with the glyph may be higher than your theoretical DPS without it. Players who ignored the glyph might do lower DPS (because they are mortal and sometimes fumble with Inquisition) than if they just used the glyph. 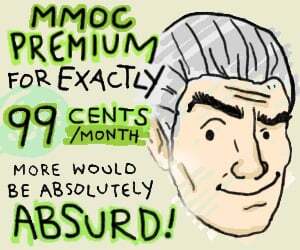 The MMO Report has some SWTOR and DC Universe this week. Hopefully you didn't miss the Rift special from last week either! It was a matter of time until they increased the cost to specialize in alchemy. Good that all can be done with just items this time instead of dungeons as well. seems like a way for people to get the achievement for being killed by deathwing. That wasn't an event that was Xelnath spawning stuff in the cities, among other raid bosses. 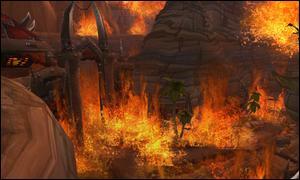 Well if it is an event and you don't have stood in the fire here ya grats on your easy achievement. people in the raid finder were getting that. 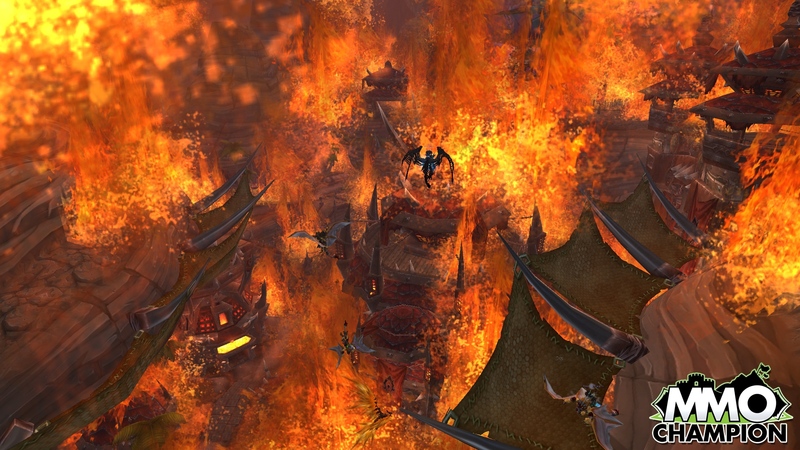 if you wipe on deathwing in the raid encounter, you get "stood in the fire" and since he's so accessible in raid finder, that achievement really won't mean a thing. Those "rough costs" are WAY off for many servers. I just pulled the US Horde Mean price for the items off of TUJ. Boy do they hate addressing Ret issues. Clearly Blizz wishes that spec would just die. Hmm, I guess everyone will be Transmute Specialists before 4.3 hits live. I wonder if this will affect pot/elixir prices. 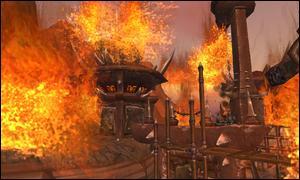 The fire for the event seems a bit over the top lol. Like WAAAAAY over the top. 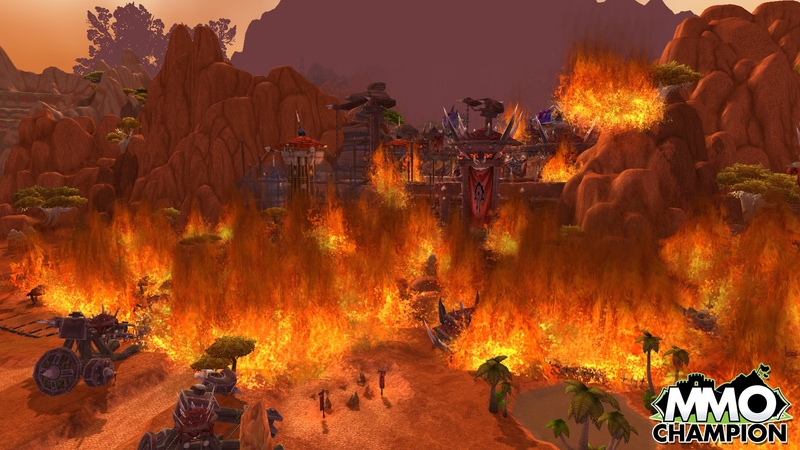 Ya it was just Xelnath trolling, he spawned like 50 living metors in org first, then razed the city with DW fire for ~10 mins and moved everyone to the tauren area GY so you can't run back because you couldn't see anything but fire. 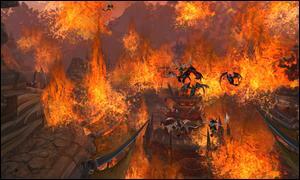 Barbequed Garrosh anyone? Tastes like off chicken. 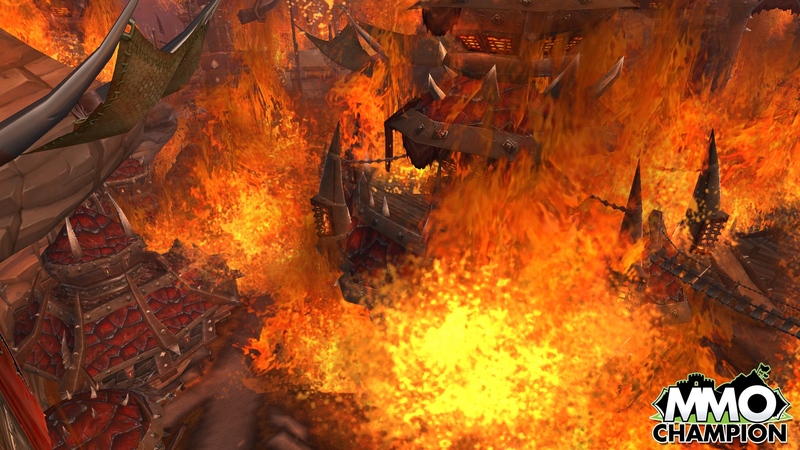 Good lord, you can barely find enough people to put out the fires in Goldshire when the Headless Horseman stops by, imagine how many buckets you'll need to put those fires out. Shh. Hear that? It sounds like the QQ of the future if that event makes it live. So just curious because I have not seen it anywere. Are we going to be able to transmute epic gems?